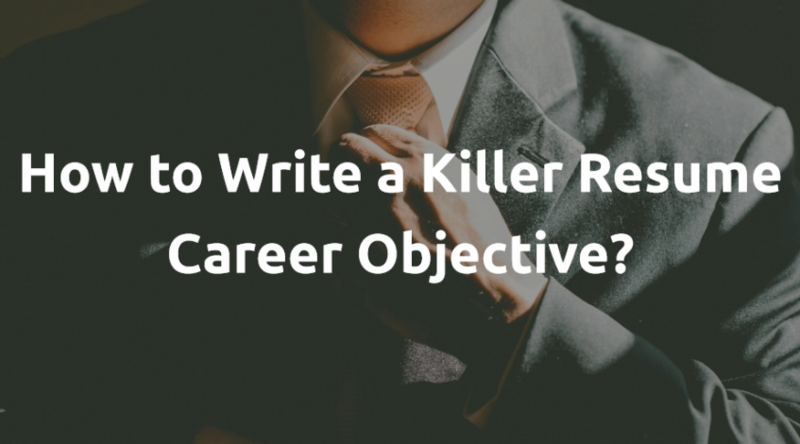 How to Write a Killer Resume Career Objective in a Few Steps? The goal of your career resume objective is to catch the eye of the hiring manager, but this is not all. Your objective needs to scream a fierce statement and make them see you as the ideal candidate. Many people fail to understand the importance of this section, but the career resume objective is actually the first thing people will see after your name and surname. We cannot provide you with a general, custom-made objective to use in your resume. After all, there is not a single objective that fits all positions. However, what we can do is guide you in writing a resume objective that will leave the hiring managers in awe! Your career resume objective should not only be tailored to the position you are applying for, but must also fit the company’s preferences, too. Be specific and make sure that the reader understands what you are applying for. The board will not be interested in how you can change the world or how great you are as a person. After all, every hiring manager is interested in one thing – how the company can benefit from hiring you instead of the other candidates who applied for the position. Knowing this, make sure that your career objective brings this to the table. We are speaking of a short section that should keep the hiring manager interested, so try not to make the objective too lengthy. Leave out tired adjectives and think of interesting, energetic words that will make the objective more dynamic. If you had a different job before and are changing careers, focus on what you bring to the new company. Make sure that the employers know how your past experiences can benefit their company. Statements that carry no substantial meaning are not something you want in your career objective section. These are bad for your resume and will no point out to anything related to your career goals, so try to avoid them at any cost. Hiring managers go through hundreds, if not thousands of resumes to fill a single or several job openings. This means that your resume must be better than all others. If you cannot achieve this, check resume writing services reviews and pick the best writing service to help you with the career objective. You may have more than one career goal or want to apply for various job positions at the same company. If you have more than one goal, make sure to create different versions of your resume for each of the objectives you write. So, there you have it – your career objective is ready to be submitted along the resume. If you did a good job in following our simple steps, you should receive a call for an interview very soon!